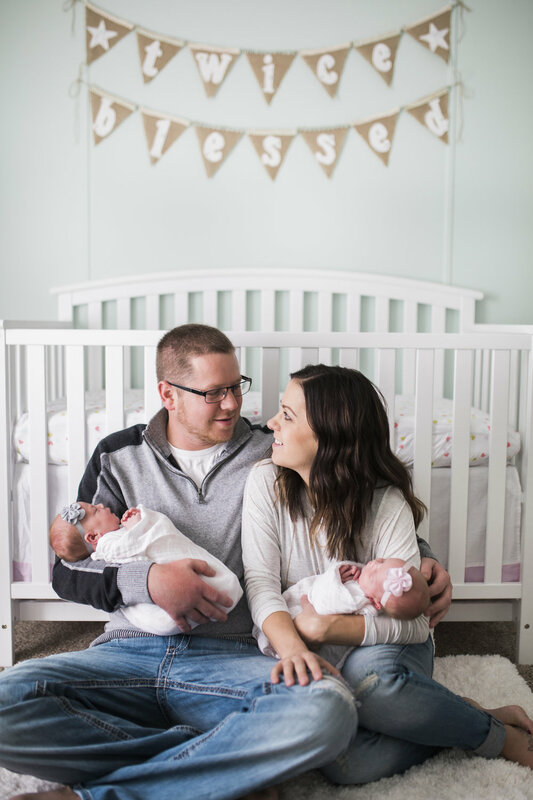 The Hertz family welcomed me into their lovely home just two weeks after their little, sweet girls were born. We scheduled the session months before anxiously awaiting their arrival, and surely enough they were here just in time! Kayla decorated their room into such a cute, cozy place for them. I loved all the details! These two adorable girls have such a wonderful family, and I can't wait to see them as they grow up! Thanks for having me!